Pittsburgh PA: Brady Stewart Studio photographer Ross Catanza. Ross was one of the studio's great photographers. Ross in responsible for a great deal of the location photographer from 1950 through 1965. He is also responsible for much of the Pittsburgh Skyline photographs taken from 1950 through 1965. 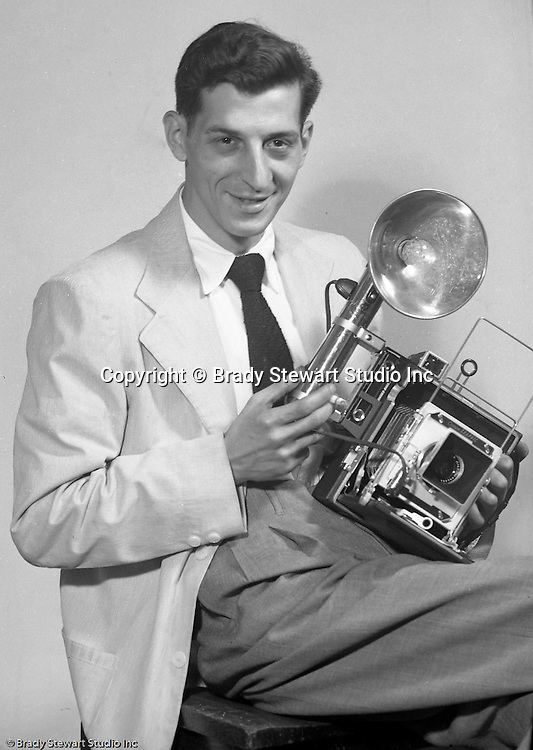 After leaving Brady Stewart Studio in 1965, he became an award-winning photographer with the Pittsburgh Post Gazette - 1952.